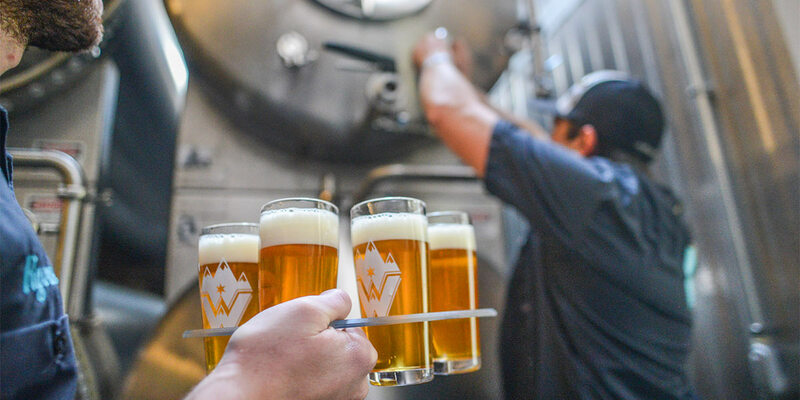 “We have a lager for you, no matter your taste preferences,” says Ted Risk, the co-founder and director of sales and marketing at Wibby Brewing in Longmont, Colorado. And he means it. Lagers might be light in body or mouthfeel, but they’re not always light in color— as proven by Wibby’s full lovibond of a tap list that includes Helles to Dunkel, and everything in between. 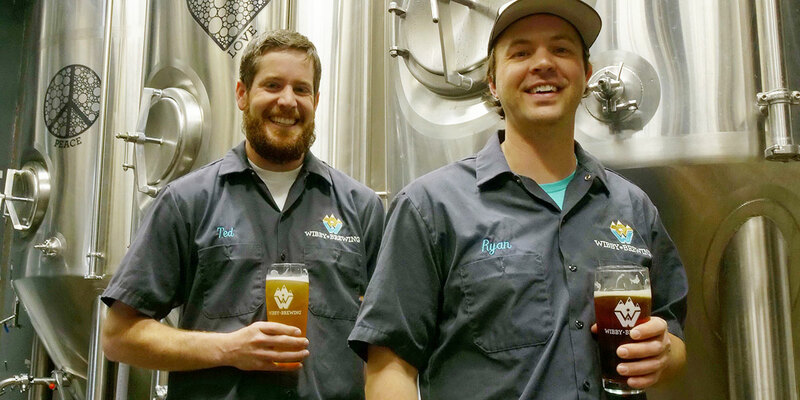 Risk’s business partner and Wibby co-founder is Ryan Wibby, a Boulder native who earned his brewing stripes back east at Ithaca Beer Company and Iron Hill Brewery before he moved to Germany to attend the acclaimed beer brewing school, VLB Berlin. “I learned how to brew lagers from Germans,” Wibby says. He added on an internship that allowed him to sponge knowledge from the German brewmasters teaching him the craft. “That’s when I started designing a lot of the recipes that we’re using today,” he remembers. 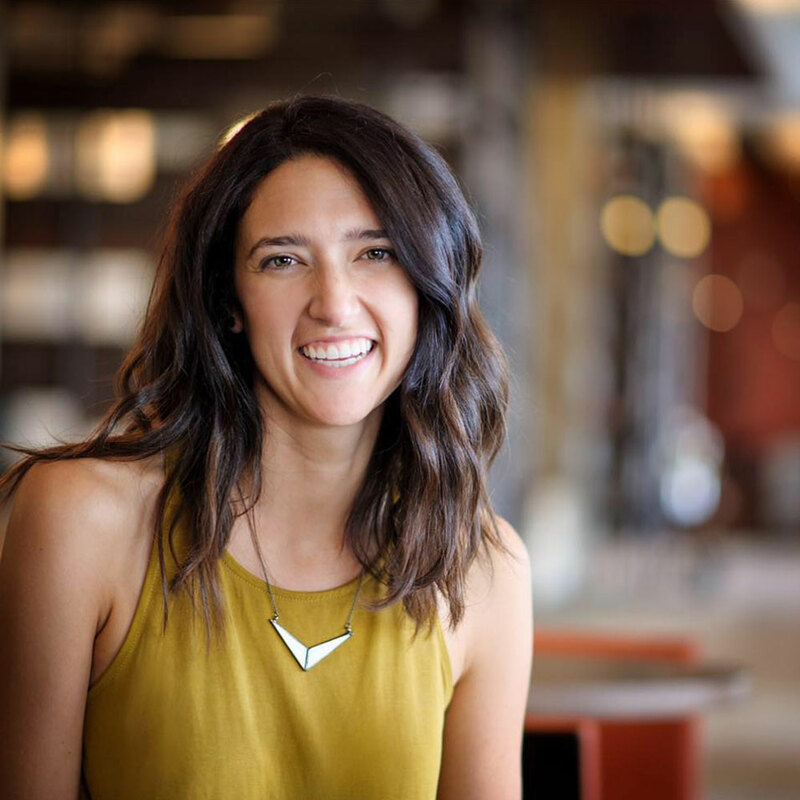 Wibby headed to Oregon after brewing school to work at Deschutes Brewery’s production facility. A bit disenchanted with production brewing at the time despite how much he enjoyed Deschutes beer, Wibby missed getting his hands dirty in a smaller brewhouse. 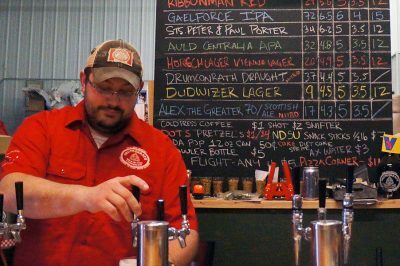 The new brewery, which opened in 2015, gave Wibby an excuse to return to his roots in Longmont. It was a ripe beer market, he points out. 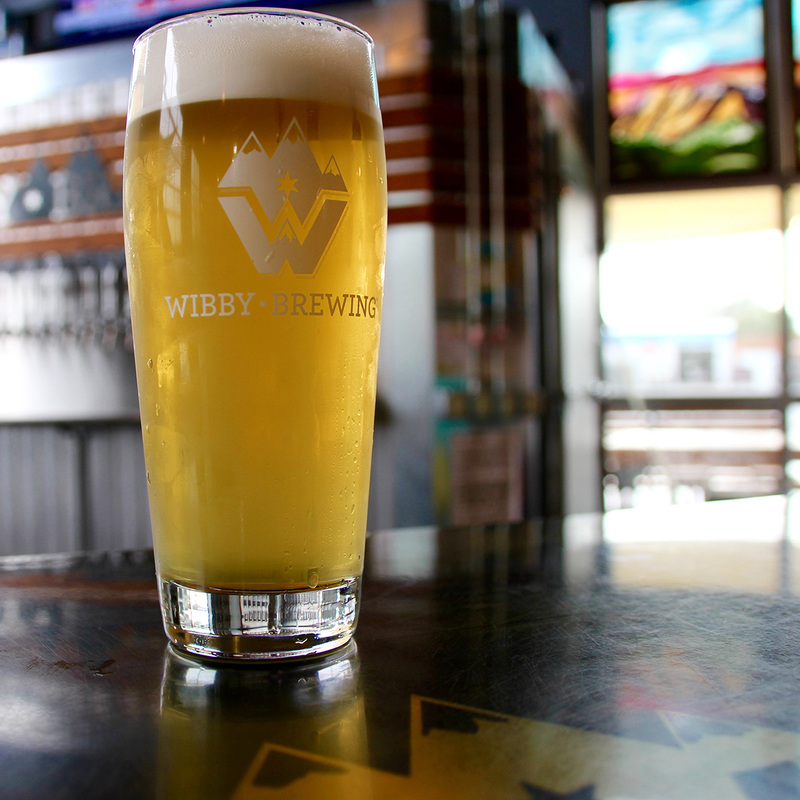 Longmont was more than ready for Wibby’s easy-drinking, approachable lagers like the Lightshine Helles and its fruited sister, Lightshine Radler, that’s brewed with house-made raspberry lemonade. The approachability of their beers serves as a gateway to under-appreciated and often misunderstood lagers like their Moondoor Dunkel, which was awarded a silver medal from last year’s Great American Beer Festival® in the Munich-style Dunkel category. That’s Wibby’s brewing philosophy: old world techniques blended with American creativity and ingenuity. This philosophy came in the form of what Wibby calls his “lightbulb moment” in brewing school. The infamous Matt Brynildson of Firestone Walker was in town for an American hops expo, and he tasked Wibby’s class with brewing a traditional German-style lager beer using the American hops he’d brought with him. That recipe has lived on to become Wibby’s India Pale Lager, a red-hued lager with a smooth, malt finish and a pungent, citrusy hop aroma. “But we hopped it up even more for the American market,” he says. IPL, Moondoor Dunkel, Lightshine Helles and Lightshine Radler are currently available in cans in the Longmont and Denver areas. Seasonal offerings – like Coffee Friends, Moondoor Dunkel lagered on Ozo Organic Blend Ground coffee, and Meat and Eggs Maibock, which is hopped with copious amounts of Hallertau Blanc, Mosaic, Mandarina Bavaria and Huell Melon hop varieties – rotate on draft at the brewery’s tasting room as well. 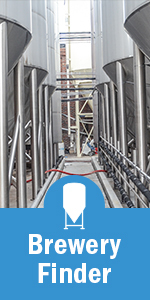 Poised for substantial growth, Wibby Brewing continues to overshoot its projections each year. 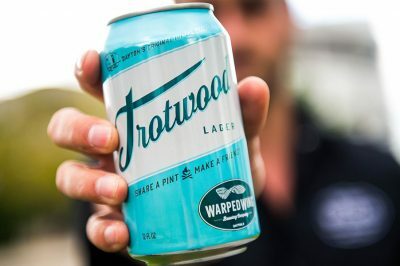 The company plans to brew 4,500 barrels in its third year and looks toward long-term development as a regional brewery. As they grow, one thing will always stay the same. “Fresh beer is king,” Risk says. No matter where and how much Wibby distributes, the company will always be committed to serving fresh beer. Wibby Brewing loves lagers so much, they throw an annual summer beer festival around the beer style. “Lagers for Lumber” is Colorado’s only festival dedicated to the lager and attracts lager-focused breweries. The festival is family friendly and also features swimming pools, crafts for kids, DJs and arcade games. Indeed, the (beer) world is ready for more Wibby lagers. 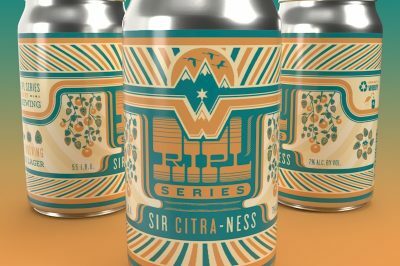 Wibby Brewing will release Sir Citra-ness on Thursday, Feb. 21, marking the first installment in a new series aimed at introducing unique and exciting types of India pale lagers.